Ever wonder how every yoga instructor you meet in the morning has more energy than anyone else? Yeah, caffeine may play a role, but this is not the only explanation. The true secret of their energy is yoga. Believe it or not, but yoga is an incredible way to fill your body with energy, relax your body, boost your flexibility and help you find a balance. That is why, in this article, we would like to show you a relaxing yoga workout to gently stretch the whole body. This workout is good for beginners, and it can really transform your body if you put your mind to it. The key to success is to focus your concentration on your body while you perform positions. Are you interested? #1. Repeat pelvic lifts for ten breaths. #2. Repeat cat stretch for four to six breaths, moving slowly between each pose. #3. Hold a child's pose for ten breaths. #4. 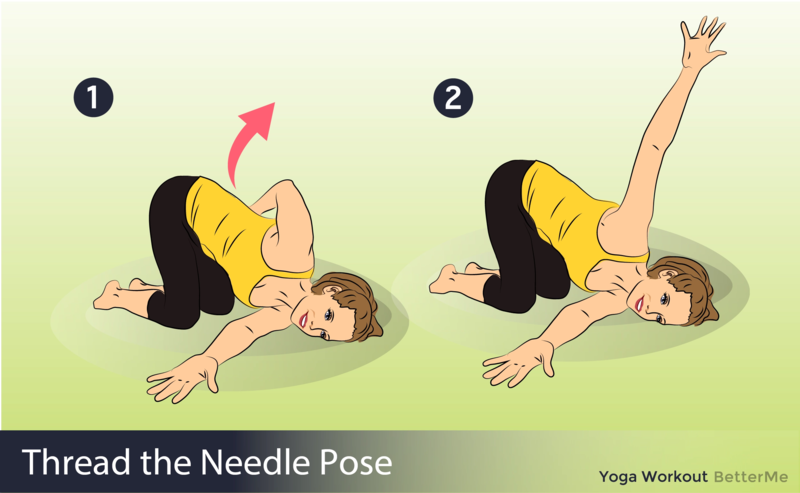 Hold a thread the needle pose for three breaths. #5. Repeat cobra stretches five times. #6. Hold the bridge for three breaths. #7. Do back stretch three times in each side. #8. 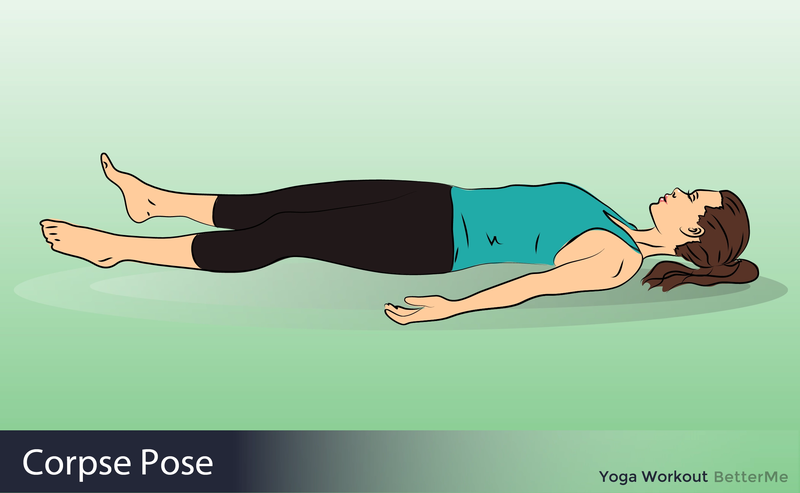 Stay in corpse pose for five minutes.